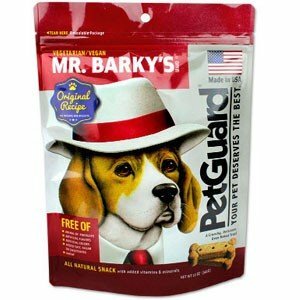 Pet guard Mr. Bark's Vegetarian Dog Biscuit. No Artificial Flavors, Preservatives. The product temperature is Ambient Room Temperature.